Jon and Vangelis is the collaborative effort between the singer Jon Anderson (the lead vocalist of the progressive rock band Yes) and the Greek synthesizer musician Evangelos Papathanassiou who is usually known as "Vangelis". Together they released a number of successful albums in the 1980s. 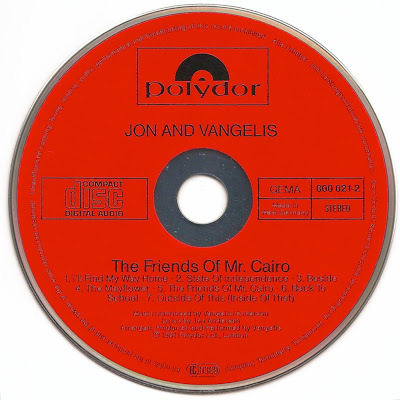 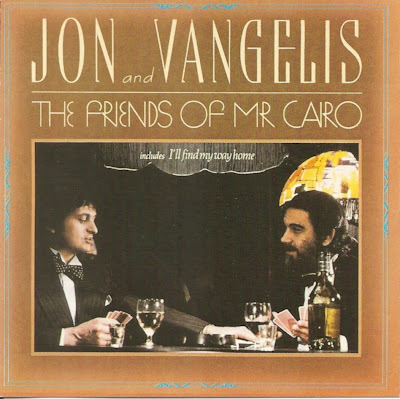 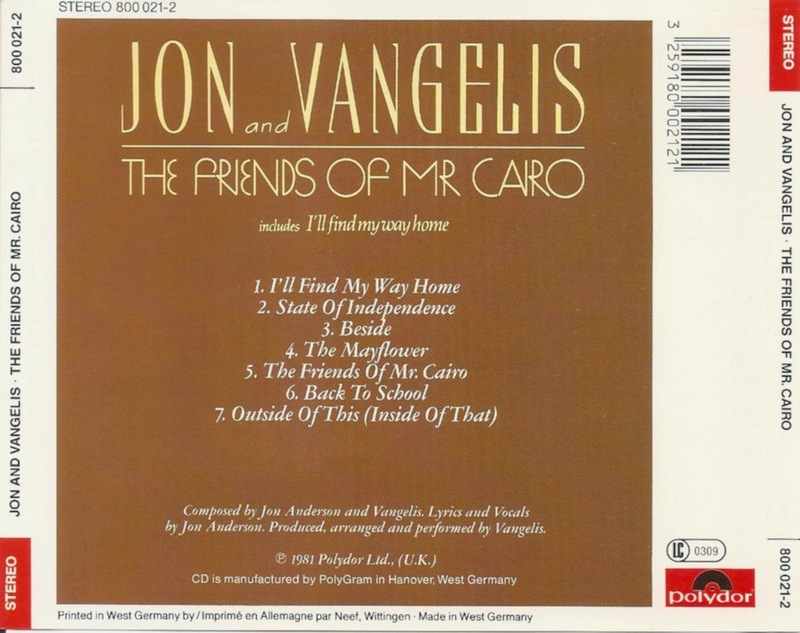 The Friends of Mr. Cairo is the second album by Jon and Vangelis.